I fancied creating a nice winter look without having to wear a dark nail polish so I decided to put some of my latest purchases to use. 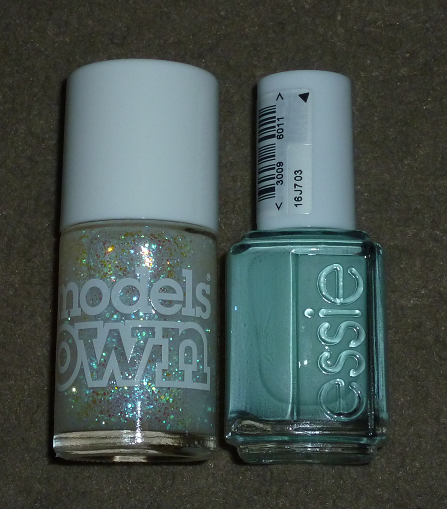 I finally bought Essie in Mint Candy Apple after wanting it for ages but it's not your typical winter colour. This doesn't bother me but I thought I could add a nice finish to it by adding some Models Own in Jack Frost. 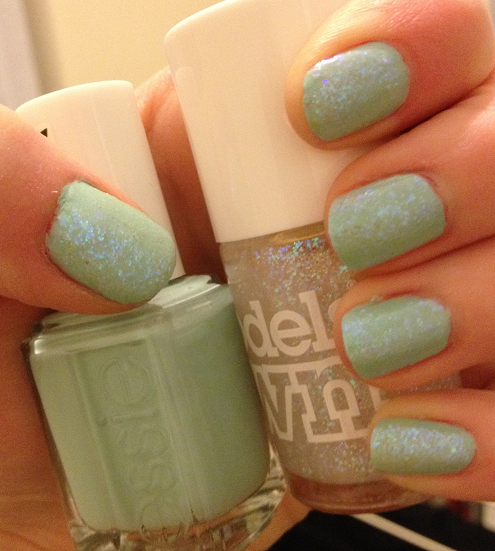 The look I've created is with two coats of Mint Candy Apple followed by two coats of Jack Frost. 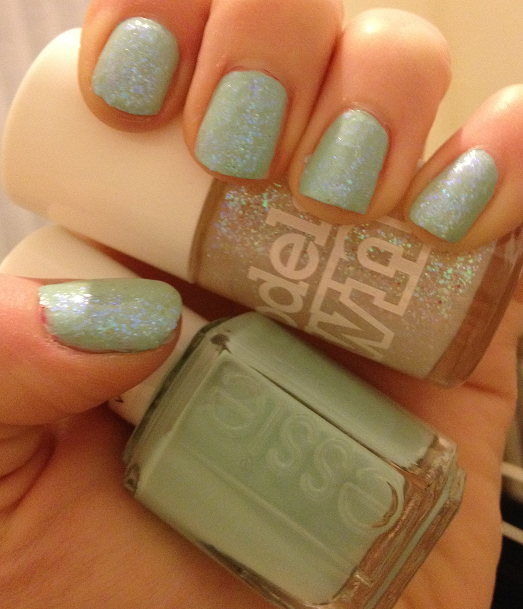 Jack Frost is a clear nail polish containing lots of blue and green glitter pieces. I think this creates a gorgeous combination and is a very fun winter/Christmas look. I just bought a new Essie polish in Butler Please to wear on my team Christmas night out next weekend and I may try Jack Frost over that too. Do you stick to dark colours in winter or do you wear bright/glittery colours? Im loving this colour combo!